In the main screen, tap Event -> choose Joker & Diamond Mask -> Complete event stages to get Joker Mask. 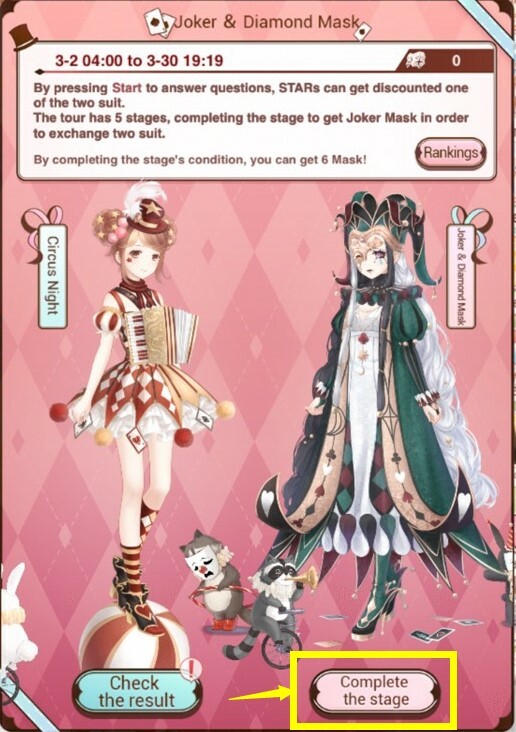 Exchange Joker Mask to get Circus Night and Joker & Diamond Mask suit. 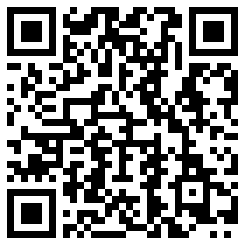 Click “Start” button -> STARs answer 4 questions to get a blessing: 50% sale off while exchanging Joker Mask for one of the two suit (just answered the question, there’s no right or wrong answer). After event ends, Joker Mask will disappear so STARs must exchange all of them. 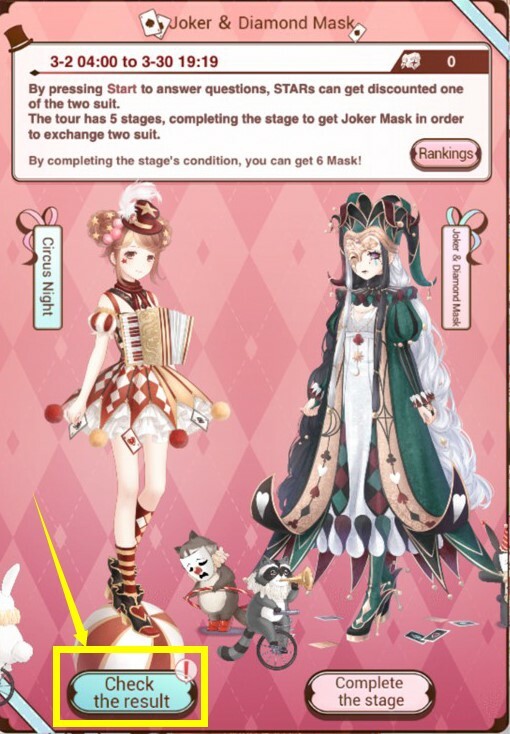 Step 01: in the main screen, tap Event-> choose Joker & Diamond Mask. 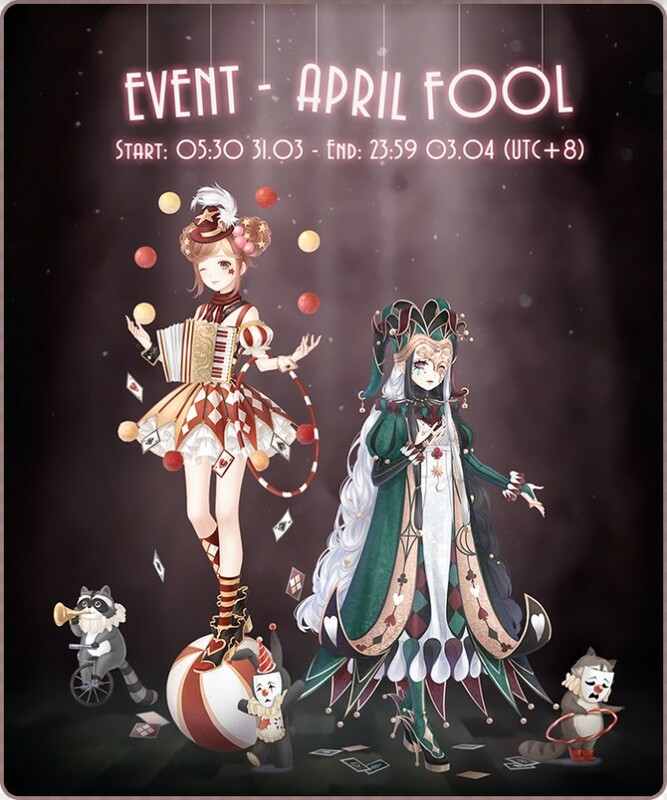 STARs need to answer 4 questions to get a blessing: 50% sale off when exchanging Joker Mask for one of the two suit (Circus Night and Joker & Diamond Mask). Just answered the questions because there’s no right or wrong answer. 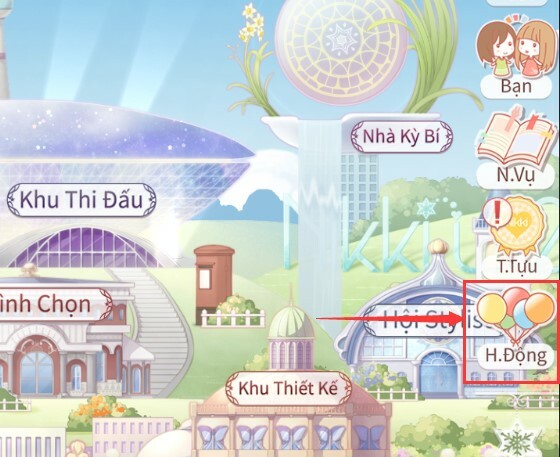 “Claim the Blessing”: agree to get 50% sale off, if STARs already confirmed, then even STARs answer again, the result won’ change. “Answer again”: STAR can answer the question again to choose the blessing of another suit. Depending on the rating (C, B, A, S, Joker’s Pranks) will determine the amount of Joker Mask STARs can get. 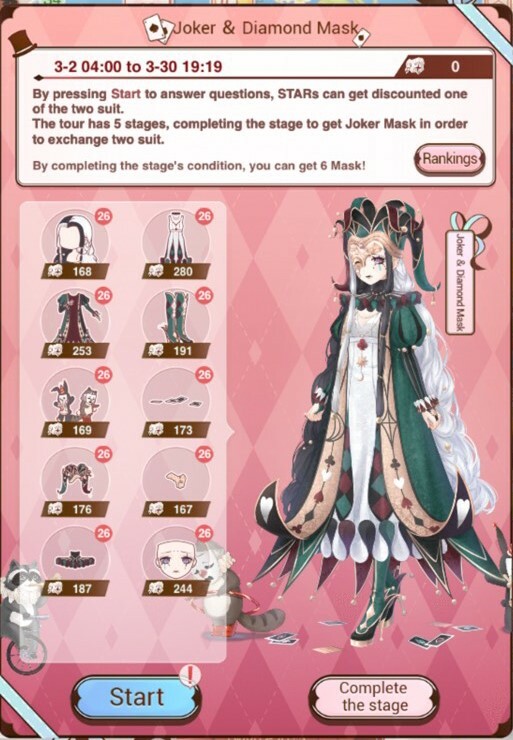 If STARs complete the stage within the condition, it will trigger the Joker’s Pranks -> STARs can get 6 Joker Mask (more than S rating) and your name will be displayed in the stage ranking. Using Joker Mask to exchange the Circus Night and Joker & Diamond Mask suit. After event ends, Joker Mask will disappear. So, STARs must remember to exchange all of it.